Great, it's been 4 visits already and definitely seeing much progress in a good direction. highly recommended! Very understandable and patient. I've only had two sessions and already feel better and comfortable working with him. Iwould definitely recommend. Very understandable and patient. I've only had two sessions and already feel better and comfortable working with him. I would definitely recommend. 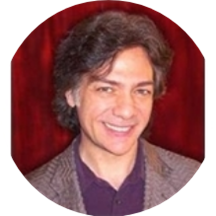 John Ryder is a licensed psychologist, achievement coach, and hypnotherapist in private practice. He has over 35 years of experience using an evidenced based system to help you overcome obstacles and achieve your true potential. As an advocate of positive psychology he promotes a more optimistic perspective of life and always seeks to develop your personal strengths that will make your life easier. He served as an Assistant Professor at Mt. Sinai School of Medicine. He published POSITIVE DIRECTIONS Shifting Polarities to Escape Stress and Increase Happiness, which is personal development book. Dr. Ryder travels widely giving lectures, workshops and has been interviewed by media as an expert numerous times. Also providing care along with Dr. Ryder is Monika Pekala, MA, EdM, LPMHC, a psychotherapist. She holds two master degrees in both Psychological Counseling and Educational Psychology from Columbia Univeirsty. Monika provides personal counseling, using cognitive behavioral therapy. She helps her clients correct negative patterns and overcome anxieties, stress, panic attacks, work on grief and loss while building healthy self-esteem.